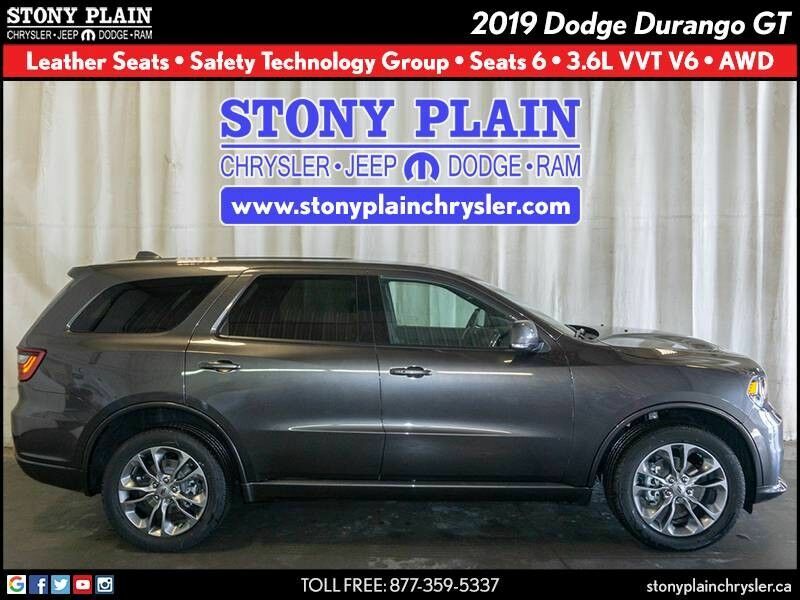 This outstanding example of a 2019 Dodge Durango GT AWD SUV is offered by Stony Plain Chrysler. Want more room? Want more style? This Dodge Durango is the vehicle for you. You appreciate the finer things in life, the vehicle you drive should not be the exception. Style, performance, sophistication is in a class of its own with this stunning Dodge Durango. Savor the satisfaction of safety in any condition with this AWD Dodge Durango. Superior acceleration, unmatched traction and stability as well as a luxurious interior round out the impressive features of this AWD Dodge Durango. Marked by excellent quality and features with unmistakable refined leather interior that added value and class to the Dodge Durango.